He and I share a quirky sense of humor. We also share childhood memories; some heart wrenching and others heart warming. He crafted my first haircut, bangs shaped like the St. Louis Arch. I have the kindergarten yearbook photo to prove it. He was my first front yard soccer coach and my biggest competitor on the basketball court. Some people say we look alike an d others say not so much. He’s been my champion, my encourager, my challenger, my role model, and my constructive critic: he’s my brother. I grew up assuming all siblings love each other unconditionally like I do mine: not perfectly, but unconditionally. It’s not front page news that this isn’t always the case. Sibling bonds are as complicated and diverse as the individuals involved and shared genetics doesn’t assure healthy relationships. Doing family well takes intentionality and selfless love, two things that don’t always come easy. I am Mom to three daughters. Sisters, I’m convinced, is one of the most challenging relationships in the world. There’s no guarantee they’re going to grow up and cherish each other. They tear one another down with a swift word, only to be giggling through tears the next. I’ve yet to find a parenting map to follow ensuring they arrive as family and best friends in the end. My mom mantra these days is, “now say that again as if you love and like her”. It takes constant training and do-overs to foster understanding and empathy with those we’re closest to. 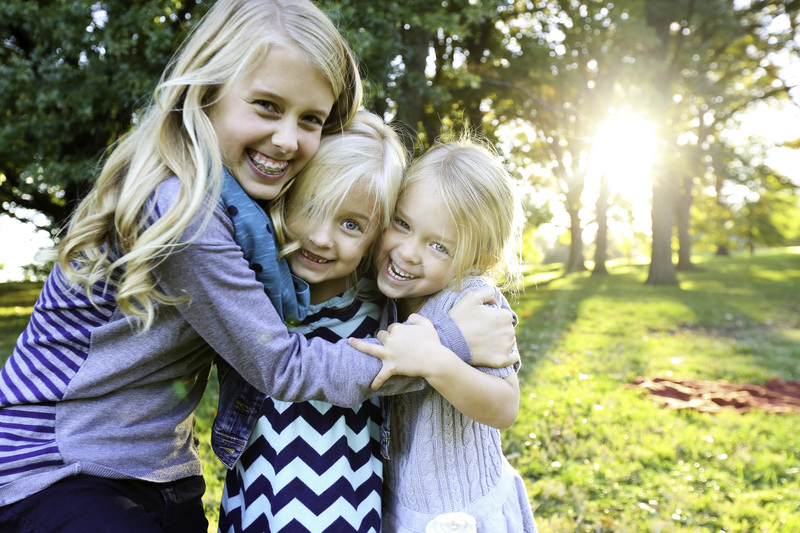 We challenge our girls to forgive their sisters faster than the other can apologize. It’s sibling competition at its finest. Our hope is they learn forgiveness is a choice and love is an action verb. We can put on a façade for a lot of people in this world, but our siblings are often the few people who know our hidden heart. It’s the best and hardest part of it all, to be a sister who is known and either judged or loved because of it. I pray my daughters choose to act on love. It’s the epitome of doing family well, to know and be known, and loved in spite and because of it all. We recently spent the week with my brother and his family. About a decade ago he convinced this amazing girl to marry him. She’s proof God knows what we need before we even know to ask. Together our kids, the cousins, are seeing family done well. We laugh, we cry, we disagree, we pray, we celebrate, and we miss each other before we even leave the driveway. Our kids know their place. They belong. In this unraveling life, we are desperate to belong to something lasting and real. Knowing our earthly belonging is second only to knowing our eternal belonging. I pray each of them has a deep understanding and gratitude for both realities. We’d be fools to miss what God is doing in our families. He’s taking ashes and turning them into beauty. Divorce, death, illness, and abuse have preceded our families leaving suffering victims in its wake for generations. Generations. I can’t know what the future holds, but I know God is writing a new story in my family and I trust his authorship. I pray for protection over our families, yes, but more than anything I pray my children and nieces and nephews believe God. His presence trumps our pain, mistakes, and doubts. Always. As we unravel, God’s grace abounds. Always. We can spend our precious hours missing it or living it. I pray they choose abundant life. It’s the truest, continual source of joy we can experience this side of heaven.